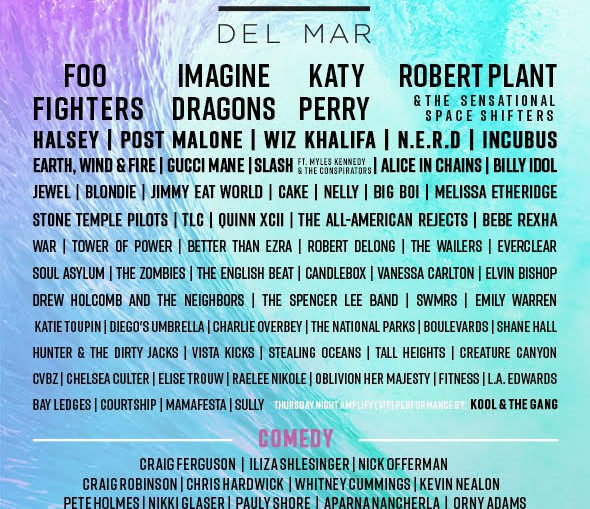 What makes KAABOO such a next level festival? 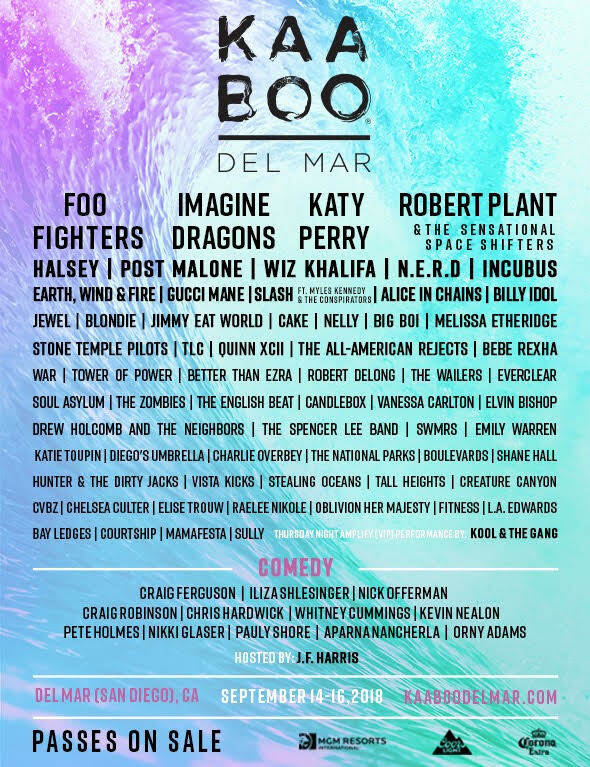 KAABOO is a festival created by music lovers, for music lovers. An adult escape uniquely curated to appeal to all five of your senses, with world-class music, hilarious comedy, exquisite cuisines, craft libations, inspiring contemporary art, and personal indulgences. Not to mention it takes place in gorgeous Del Mar (San Diego) California. This year’s festival brings together an unprecedented amount of musical talent spanning multiple genres and decades from the ’70s to now. The headliners are absolutely incredible, with artists including the Foo Fighters, Imagine Dragons, and Katy Perry. The other acts are made up of amazing better known, harder to find performances. For instance, N.E.R.D., the Neptunes side project (formed in 1999 by Pharrell Williams and Chad Hugo) only has a handful of shows in the U.S. over the past few years and they are making KAABOO one of their only stops this year. Other bands with rare appearances include Big Boi, CAKE, Jewel, and TLC. Also included are newer popular acts such as Post Malone, Halsey, Wiz Khalifa, and Gucci Mane. But what really makes this festival special is all of the classic time-tested acts that are in attendance such as Earth Wind and Fire, The Wailers, Billy Idol, and Blondie! With well over 60 bands there is definitely something for everyone. 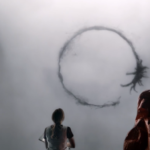 Being a fully immersive festival is no easy task. This is what makes KAABOO that much more impressive. To make it a complete lifestyle festival they have pulled out all the stops to include a hilarious comedy lineup along with specialty categories such as Bask, Artwork, and Indulgences. Comedy – This year’s comedians include some of the best and brightest stars around. They’ve brought in veterans such as Judd Apatow, Kevin Nealon, Pauly Shore, and Louie Anderson. Also rounding out the lineup are rising stars including Nikki Glaser, Erik Griffin, and Craig Robinson. Bask – In wanting to bring the coolest vibes and the best that they have to offer KAABOO has teamed up with MGM’s Wet Republic to present a unique upgrade called Bask. Incorporating features rarely seen at typical musical festivals Bask offers poolside viewing, premium cabanas, DJ sets and private bar with specialty cocktails. Imagine sitting poolside sipping a cocktail while watching your favorite band perform all in an idyllic setting. What’s better than that? The best part is you can do a weekend or day pass! Art & Exhibits – When a festival as large as KAABOO comes to town no expense is spared. A national search was done to bring the best artists from all across the country. Not only are there custom displays onsite and artwork for sale, but also included are fully immersive large-scale installments to create a full sensory journey. While some of the art is set in place before the festival starts, other pieces are created live on site. Indulgences – Understanding that festival life can get hectic at times, KAABOO is fully prepared. Offering a dizzying array of lavish pamperings such as blowouts, hot shaves, massages, and IV nutrient therapy — you can leave your stress and worries at the door. Sit back and relax while the highly skilled technicians see to all of your needs. Whether you’re erasing your sins from the night before or just living the glam life, KAABOO has you covered! 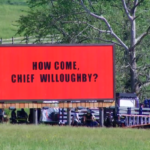 One more thing… and this a big one… real bathrooms! Gone are the days of walking into a hot smelly disgusting Porta-Potty. The festival has real flushing toilets with attendants, making sure everything stays clean and tidy. Culinary – With local and regional cuisines the festival brings the best in gourmet delicacies. Numerous chefs from across the country will come together to not only showcase their talents but also feed the hungry masses. Top chefs will be giving food demonstrations throughout the duration of the festival. Complimenting the already amazing food is the specialty cocktail program, limited production wines, and craft beer selection.